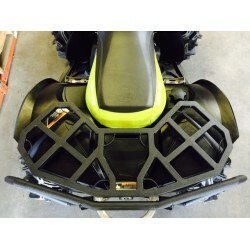 ATV Parts, ATV Radiator Kits, ATV Wheels Tires, ATV Suspension Springs Shocks Bumpers - Wild Boar ATV Parts > Bumpers > Can-am Renegade All Years All Models Rear Rack $189.00 FREE SHIPPING!! « Wild Boar ATV Parts Can-am Commander 800/1000 Front Bumper With LED Lights All Years $330.00 Free Shipping! Get yours before they SELL OUT AGAIN!! One of the HOTTEST products out for the Renegade!! ON SALE NOW for $189.00 with FREE SHIPPING! Regular Retail is $220.00! Don’t forget to check out our other products that can be purchased for this bike! NEW Renegade Floorboards, Renegade 800 Stealth Bumper, Renegade 1000 Stealth Bumper, Renegade 1000 Radiator Relocation & Bumper Combo,Renegade 800 Radiator Relocation & Bumper Combo,Renegade XMR Radiator Relocation & Bumper Combo, Renegade 800 Rear Bumper, Renegade 1000 Rear Bumper! Also available WINCHES, LED LIGHTS & much more ACCESSORIES!